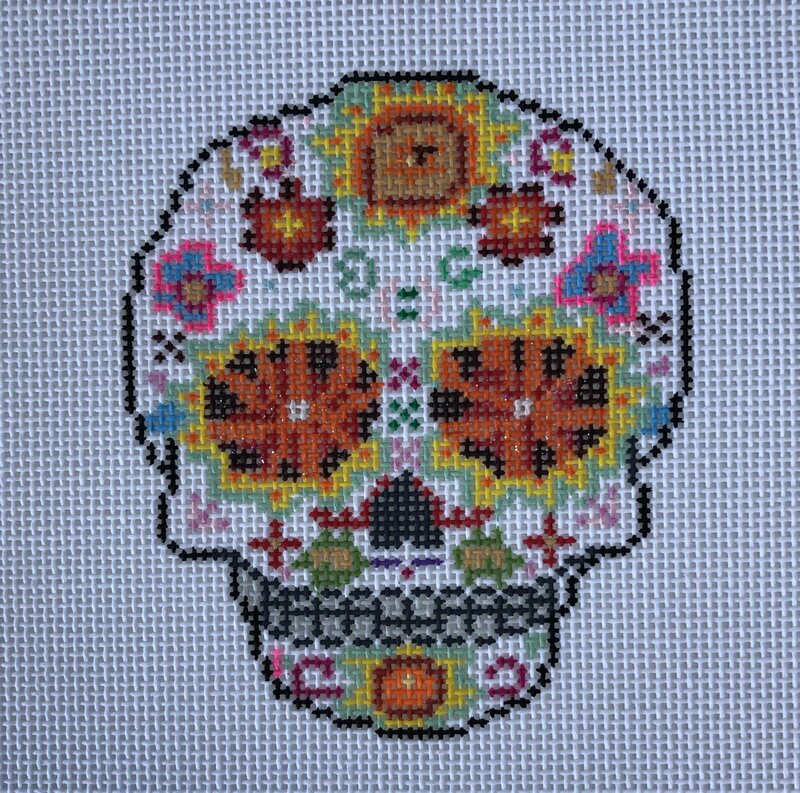 Day of the Dead Number 1. This would make a great ornament or small pillow. Skull is 4" high and 3" wide.Yes it is! Beautifully painted on 18 mesh. The canvas is 7.25"wide by 8" high if you wish to stitch a background. If you wish this kitted please choose your thread choose from the suggested products below. Welcome to 3AC Needlepoint! We are an on-line needlepoint shop that specializes in making needlepoint accessible with simple yet elegant projects.